It's nice to know when new games are coming out. You can start saving your nickels now and make sure you've got plenty for when the game hits your LGS shelves. Portal Games is letting you know when their next three games will be coming out. So, if you want Detective: L.A. Crimes, Robinson Crusoe: Mystery Tales, or 51st State: Allies, you can find out when they'll be dropping. Welcome to another Saturday. This week went by quick (at least for me). I hope you've been enjoying the Adepticon photos we've been posting. Be sure to check out the ones of the Desert Hydra. Makes me almost wish I played Skorne. I might get one of those just to paint up. 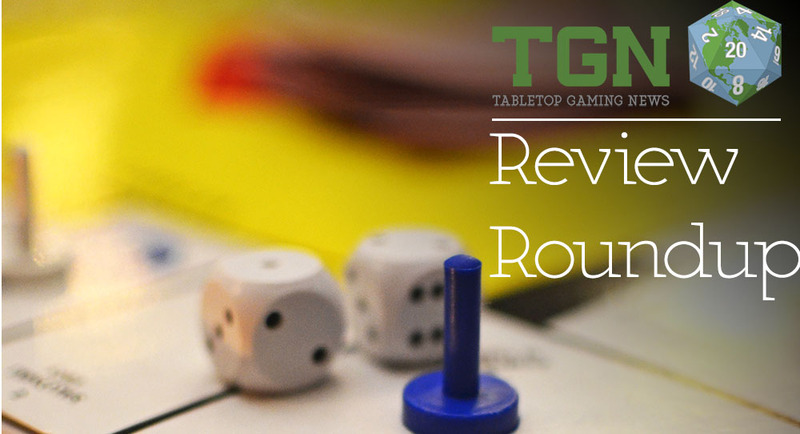 Anyway, as is custom here on TGN, we've collected the review articles from the week and have them here in one place for you here today. In this batch we have previews/reviews of: Kromlechs' Armoured Orc Assault and SMG Squads, Urban Commando and Battleground Gaming Mats, Deus Board Game, Dead Man's Draw, The Institute of Magical Arts, Board Game Quest's Top 10 Cooperative Games, Port Royal, Saboteur, Mysterium, Wizard's Academy, and XCOM. Ok, so it's not exactly "night" yet... unless you're East of here. So those of you in Europe might consider it night. I'm getting off track. Anyway, it's Saturday and hopefully you're getting your gaming groove on. We've got a collection of the review articles we found during the week and present them to you now. 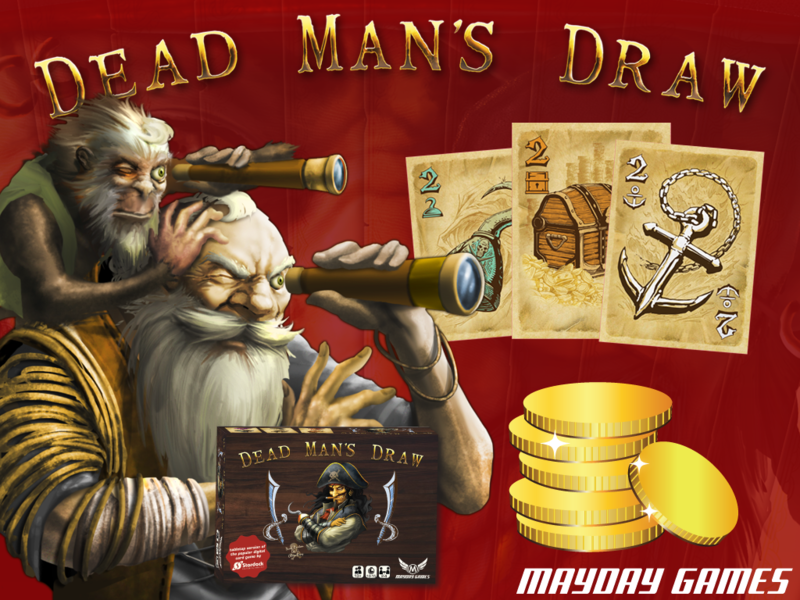 In this edition, we have reviews/previews of: Doomtown: Reloaded, Mysterium, Between Two Cities, Dungeons & Dragons Fifth Edition Dungeon Master’s Guide, Sanssouci, Mythtopia, The Tyrant and Dreadnought Army Cases from Tabletop Tyrant, Oh My Gods!, Iron Kingdoms: Unleashed Adventure Kit, and Specter Ops. 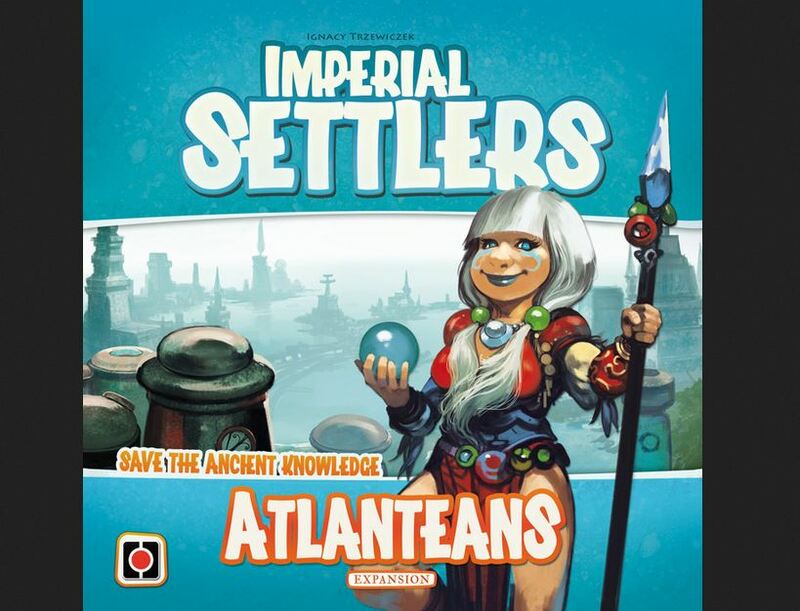 Board Game Quest takes a look at Imperial Settlers in their latest review article. From the post:This past August I was fortunate enough to be able to attend my very first Gen Con. Although I only went for one day, that day was jam-packed with gaming goodness. 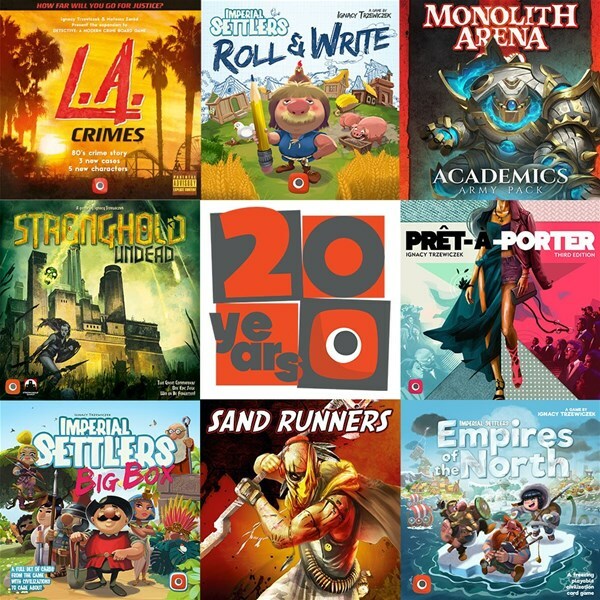 For any true modern board gamer, one day is definitely not enough time to see and do everything you’d want at America’s largest board gaming convention. As much fun as I had at the convention, however, the highlight of Gen Con week for me personally, was having the opportunity to meet one of today’s premier board game designers: Ignacy Trzewiczek (Neuroshima Hex!, 51st State, and Robinson Crusoe). He and his wife Merry were visiting the Chicago area the weekend before Gen Con, and we were treated to a learning session with Ignacy’s latest game creation: Imperial Settlers. The game made its worldwide debut at Gen Con this year and sold out in just 26 minutes due to the buzz about the game. Now that I’ve been able to play it several times since then, I wanted to explain how the game plays, and give my thoughts about it. 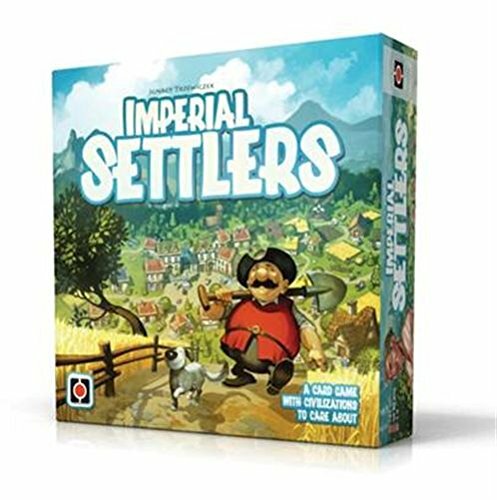 Imperial Settlers is a card drafting/hand management game, designed by Ignacy Trzewiczek. It plays 1 to 4 players and plays in about 45-90 minutes. Board Game Quest has a new review article up on their website. 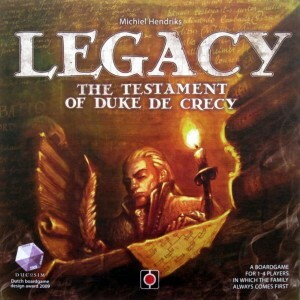 This time it's Legacy: The Testament of Duke de Crecy from Portal Games. Legacy is played over three generations where players will be building out a family tree of heirs. Players will begin with just one patriarch or matriarch card from which to found their dynasty. Each round, players will be forming strategic marriages, producing offspring (which to marry off, of course), buying titles and going on secret missions. As the game progresses, player’s families will grow substantially larger, thus increasing their opportunities to gain money and honor (the games victory points). After three full generations (with multiple rounds in each), the player with the most honor wins.